Location: Erquelinnes, province of Hainaut, Belgium. Ownership / Access: Princes de Merode. 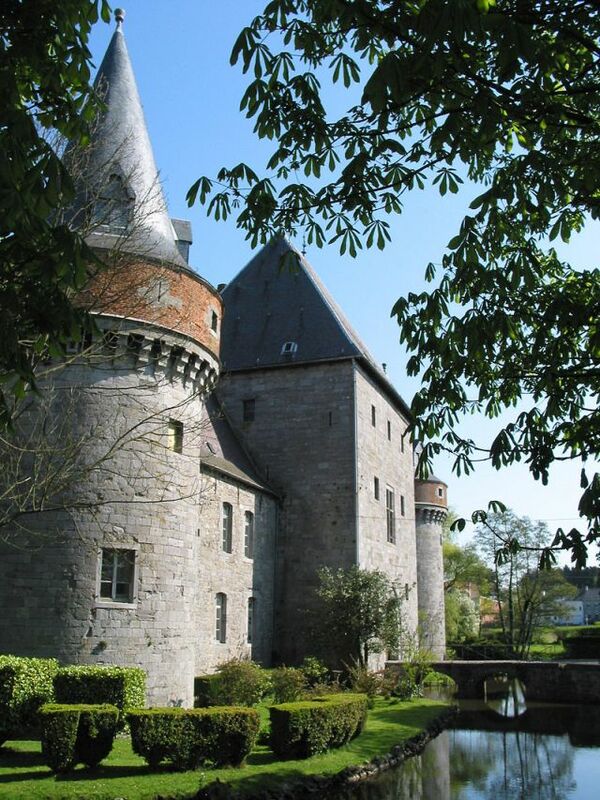 Notes: Solre-sur-Sambre Castle (French: Château de Solre-sur-Sambre) is a castle in Solre-sur-Sambre in the municipality of Erquelinnes, province of Hainaut, Belgium. The castle was built around the turn of the 13th and 14th centuries and retains much of the medieval structure. It is the property of the Princes de Merode.